Every day there are more slot machines with a jackpot, it can be a progressive or a regular one. A progressive jackpot is a jackpot on 1 server at the software provider. With the Mega Joker is that the server of NetEnt. 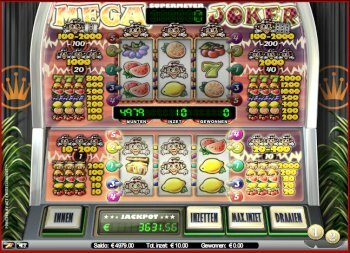 There are several providers who work with this software, and ALL slots contributes to this jackpot.